FALLON, NV APRIL 14, 2010: Octane Fest will be throwing big rocks on the ground for extreme CalROCS Rock Crawling and Tuff-Cup Pro Arena Rock Racing at the Fallon, NV fairgrounds arena June 10-13, 2010. The weekend will also be packed with SuperLite Trucks, Mud Drags, Monster Ride trucks, Tuff-Cross (Arena Enduro Racing), Motocross, Tuff-Truck, Top Gun Raceway Lucas Oils NHRA Drag Racing and Rattlesnake Raceway Dirt Track IMCA Modified races. 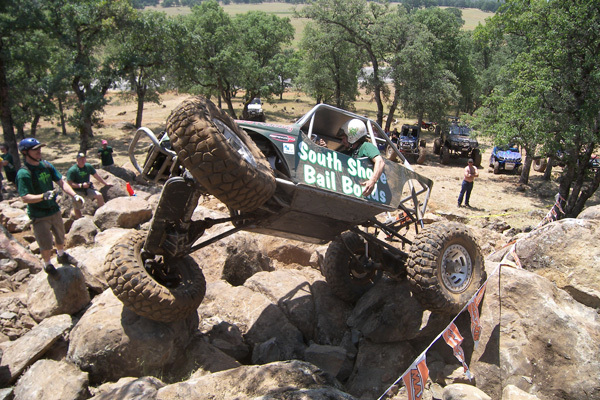 The two-day Rock Crawling event will be sanctioned by CalROCS who has a history of producing sophisticated courses for the pros, yet still competitive for the amateur to try their skills and participate. Glenn Bonner from CalROCS stated “I have been working with Ty on the facility which will give all drivers the ability to have a great weekend of rock crawling.” There will be plenty of action with the schedule including 3-4 courses per day per class. This is a non-series points race for the CalROCS competitors. In the main arena there will be Tuff-Cup Pro Arena Rock Racing featuring Tube Shark/Torchmate’s JT Taylor, Trent Fab’s Derek Trent and Chris Ridgeway as well as other rock buggies that have been dominating the sport. These fierce competitors will be running the same track as the SuperLite trucks but will have two large piles of rocks that they have to attack. “Rock buggies are certainly a lot of fun to watch and the rock challenges that we will be building should show their extreme capabilities,” said event promoter Ty Erquiaga. There is no lack of excitement watching buggies with 40+ inch tires attack the rocks, catch air across the jumps and compete against each other for the checkered flag. The racing action is just a start to the weekend. There will be music, a vendor show, a show and shine and a motorsports swap meet. This is an event that you can bring the whole family out to enjoy. To top the evenings off, join Pirate4x4 in the Saloon for a cold Coors Light and an after party with music you can dance to. Competitors are encouraged to sign up for the different sanctioned events. Additional information and Entry Forms can be found on the website. CalROCS will be hosting the Rock Crawling, NMXD will be hosting the Tuff Cross and Motocross event, and Speed Technologies will feature the SuperLite Invitational on Saturday night. Additional events will be hosted by Octane Fest presented by the Northern Nevada Toyota Dealers. Octane Fest is the largest multi-discipline motor sport event in Northern Nevada. Tickets for the event are $20 for the weekend Jamboree Pass (fairgrounds only) or $24 for all 3 venues on Saturday (Fairgrounds, Rattlesnake Raceway and Top Gun Raceway). Day passes for the fairgrounds are also available for $10/day.